Many of you came out to the West Side IA for our production of the great traditional band 'Teada.' 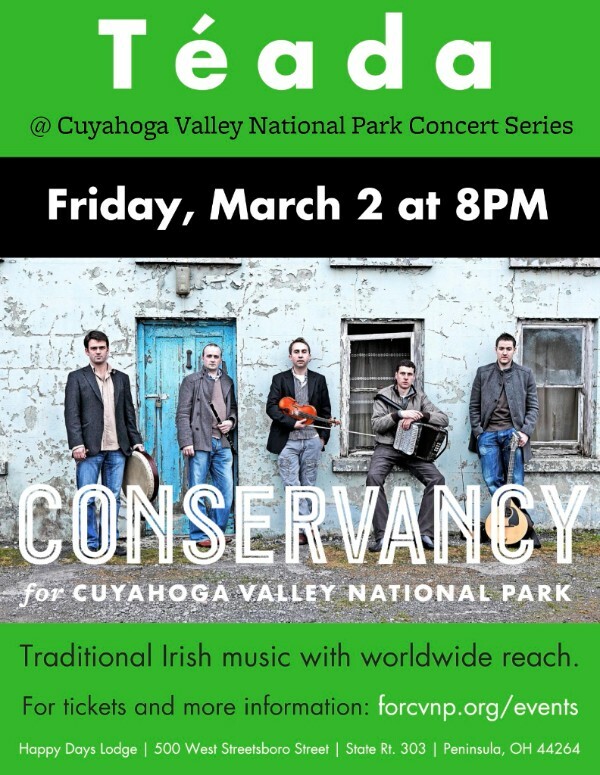 They are returning this year to the Happy Days Lodge for a concert produced by the Cuyahoga Valley National Park! 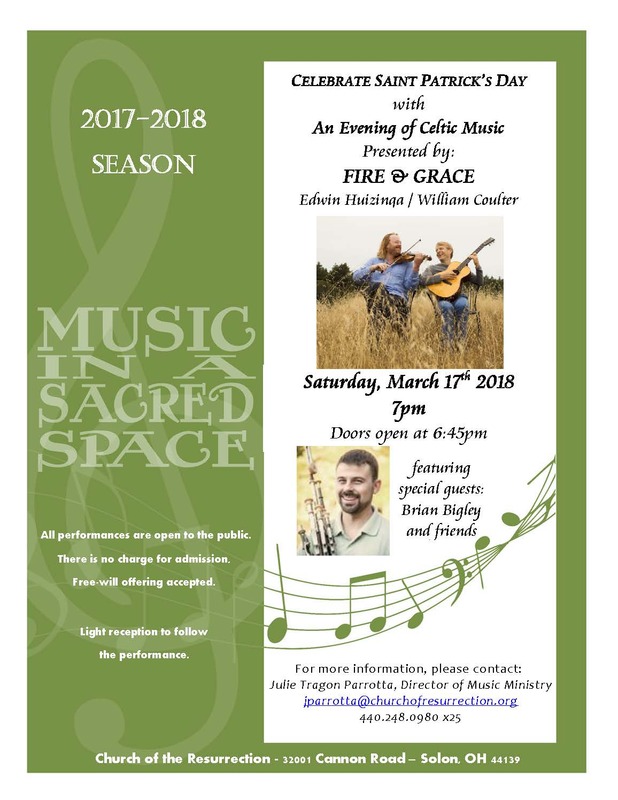 Many of you also attended our production of 'Fire & Grace' at the Barlow Center. This time, they boys are back as part of a concert series at The Church of the Resurrection in Solon! Brian will be a special guest along with the incredible voice talents of Apollo's Fire soloist Amanda Powell! 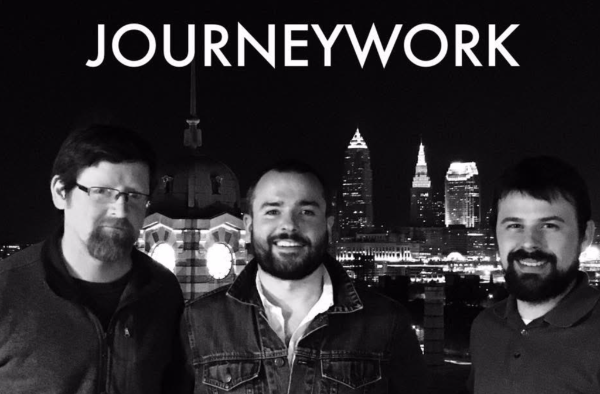 'JOURNEYWORK' is a traditional band featuring the visceral songs and delicate guitar of Ruairi Hurley, the robust flute playing of Brian Holleran, and the perspicacious piping of Brian Bigley. They are making their Nighttown debut this March! Brian Bigley is an Irish Musician, Dancer, and Pipemaker in Cleveland, Ohio. Kristen and Brian Bigley Present joyous stage productions throughout the year. 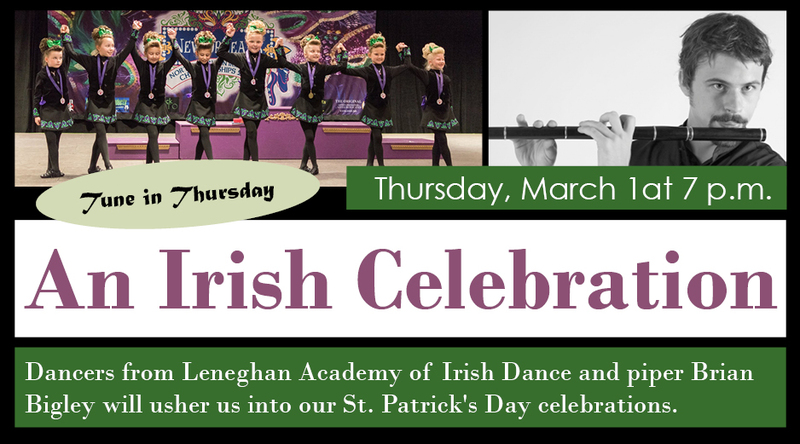 Check back for our next event! ~ Custom made mahogany pipe cases now available! ~ Now offering "budget" practice sets! See pipe making tab! ~ Recording has begun on a new Christmas Album with Kristen Capp! Check out the preview track in the audio player "Oh Come, Oh Come, Emmanuel". ~ Kevin Bluemel's Recording "Uncharted" has been released. Check out "Distant Serenade" here! ~ Now offering elbow pads and bag covers! Check out the "Pipe Making" tab for more info! ~ Happy to be working on with Kevin Bluemel on his new recording. Check out Kevin's page Here! We are working with Wes McCraw over at Creekside Audio. Check him out Here! ~ New Review of "Trad Irish Music on Flute + Pipes" from the Irish Echo! ~ "They sound great! What a difference from what I was learning on before! It was hard to get motivated to practice when I was using and instrument that was making it even harder than it already is for me. Thank you so much Brian!"